A tremendous front side ski that does it all easier and better, the NordicaNavigator 85 Skis are quick and precise but still stable and confident at speed. 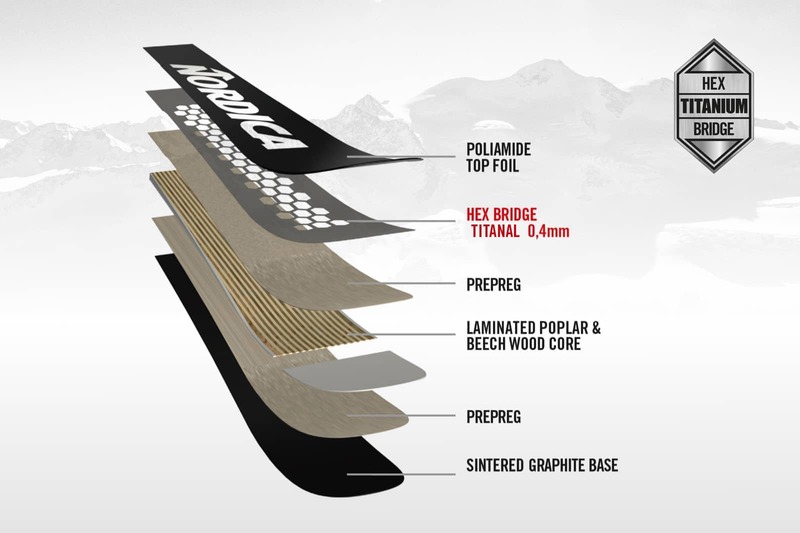 Nordica delivers the goods with an all-mountain rocker profile that combines the early rise tip of the Enforcer series with the flatter tail of the race-bred Dobermann series, and keeps the ski grounded with a solid Poplar and Beech core with a sheet of milled .4 mm Titanal. The Navigator 85 is the perfect ski for precise turns on the groomed and effortless performance in up to 8 inches of fresh. 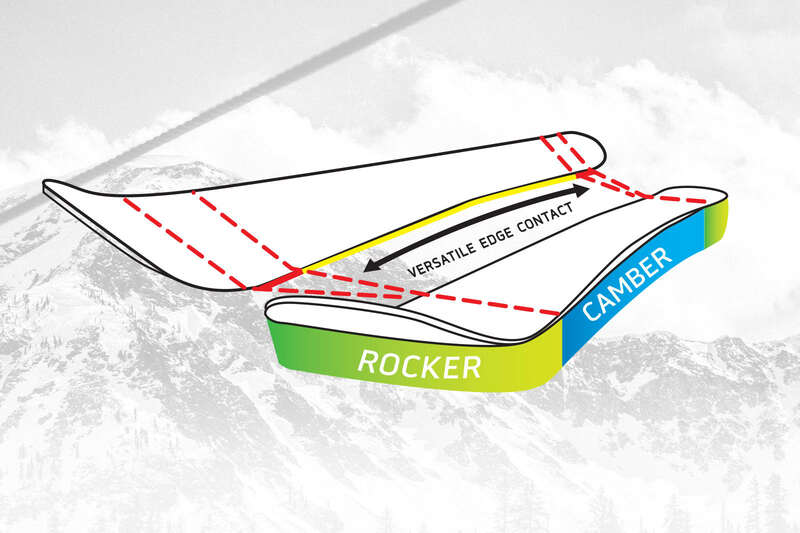 Squared Off Tail Shape – More on trail power and stability with effortless transitions between turns. Titanium Hex Bridge – A layer of powerful .4 mm Titanal with laser cut hexagonal holes for energy-saving lightness while maintaining torsional strength.